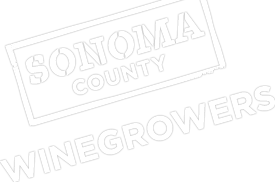 Quality, rather than tonnage will continue to be the driver for Sonoma County’s winegrape crop, comments SCW President Karissa Kruse in her recent interview with Western Farm Press. As bud break continues to remain ahead of schedule Kruse and growers question if this is the new normal for Sonoma County. If Sonoma County wine grape vineyards didn’t jump the starting gun this season, they wasted no time breaking out of the gate. That’s put pressure on growers to wrap up pruning much sooner than usual to stay ahead of breaking buds in Cabernet Sauvignon and other later varieties. Also, it increases the risk of frost damage to young, tender shoots – a threat that had already prompted some growers to take action to protect vines from frost several times by the second week of March….Should the vines maintain this fast pace through the rest of the season, the 2015 crop is on track to an early harvest, says Karissa Kruse, president, Sonoma County Winegrowers. That would reduce the likelihood of disease damage to the crop from any fall rain. But, as it has the past several seasons, an early harvest could lead to an overlap in maturity of different grape varieties, creating more bottlenecks in the wineries….